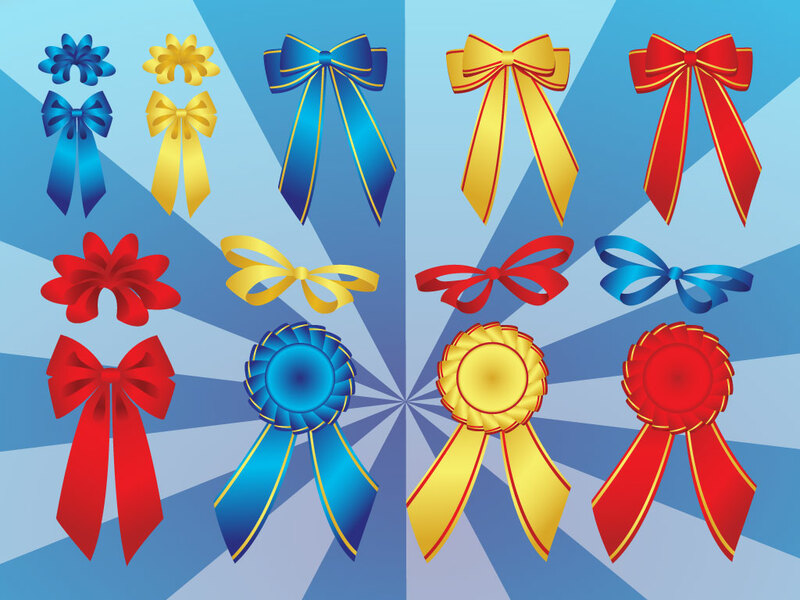 Download these ribbons and bows for your holiday, gift and contest designs. Shiny, glossy and ideal for onscreen use or will look great in print. Available in multiple vector formats. Tags: Bow, Buttons, Glossy, Pins, Prize, Ribbons, Winner.